These are the nights that allow you to dream. These are the games, when the offense is humming, when the defense is solid, when the goaltender is terrific, that let you shut your eyes and imagine this team in the playoffs. Yeah, it's early. True, there is a season's worth of bumps and bruises and slumps and injuries and bad ice. On the other hand, when they are flying the way they did on Tuesday night, you can barely wait for the post-season to start. Evidently, Steven Stamkos and Nikita Kucherov are in a hurry to get the playoffs, too. The Bolts played host to a very good Edmonton team Tuesday night, and with visiting star Connor McDavid, winning of the Hart Trophy fin 2017, the threat was obvious. Still, the Lightning's own stars showed up. Kucherov and Stamkos combined for three goals and three assists, and when they are rolling, the Bolts are rolling. 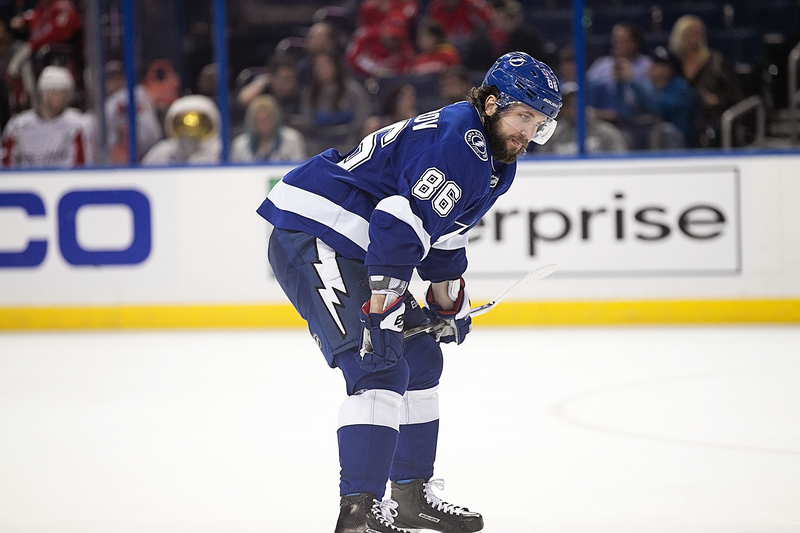 Kucherov scored twice, and now has four goals in the last five games. 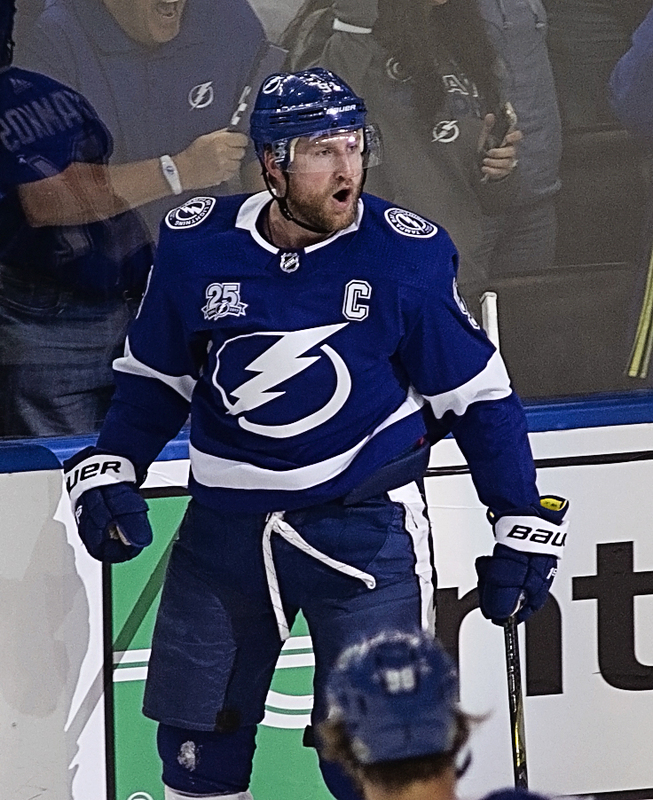 Captain Steven Stamkos scored the first goal, which was also his fourth in five games. Brayden Point scored his ninth goal of the year. Yanni Gourde scored his third goal in three games since signing a contract extension. point for only the second time this season, and goaltender Andrei Vasilevskiy stopped 33 of 35 shots. 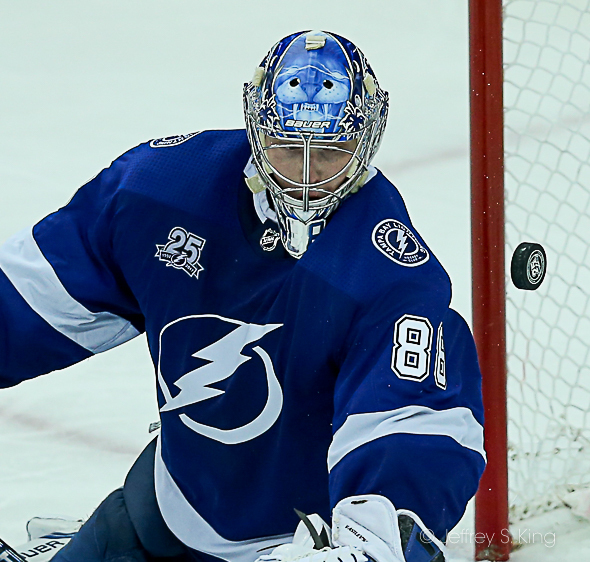 Vasilevskiy has given up two or fewer goals in eight of his 11 games this season. Kucherov and Stamkos are playing well together. Together, they had three goals and three assists against the Oilers. Stamkos said the two are aware of each other on the ice. Vasilevskiy has now won five of his last six games. The Bolts are home on Thursday night against the New York Islanders. The puck drops at 7:30 p.m.